(CBS/AP) Has the breast cancer awareness campaign gone too far? 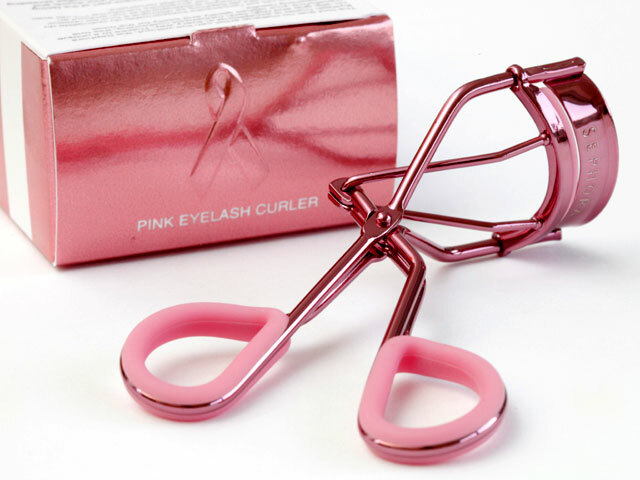 Pink products are everywhere in support of breast cancer awareness this month. And some people are sick of it. "The pink drives me nuts," said Cynthia Ryan, an 18-year survivor of breast cancer who also volunteers to help other women with the disease. "It's the cheeriness I can't stand." Activists have coined the term "pinkwashing" - referring to when a company or organization does a pink breast cancer promotion, but at the same time sells and profits from pink-theme products. For instance, a Smith & Wesson 9mm handgun with a pink pistol grip advertises that a "Portion of the Proceeds Will Be Donated to a Breast Cancer Awareness Charity." The San Francisco group Breast Cancer Action has led the campaign to question pink products, but executive director Karuna Jaggar said it isn't saying all such products are bad. She said there's no doubt that when the campaigns started about 20 years ago there was still a great need to raise awareness. "At one time, pink was the means," Jaggar said. "Now, it's almost become the end in itself. In its most simplistic forms, pink has become a distraction. You put a pink ribbon on it, people stop asking questions." About 40,000 women will die of breast cancer this year, and 230,000 new cases will be diagnosed, the National Cancer Institute estimates. And Jaggar wonders whether more awareness is what's needed to reduce those numbers. Leslie Aun, a spokeswoman for Dallas-based Susan G. Komen for the Cure, said the advocacy group isn't apologizing for all the pink. "Research doesn't come cheap," Aun said. "We need to raise money and we're not apologetic about it." Komen, founded in 1982, has contributed $685 million to breast cancer research and $1.3 billion to community programs that help with mammograms, transportation and other needs, Aun said. Komen would love not to have to do marketing, but that's simply unrealistic, she said. "We don't think there's enough pink. We're able to make those investments in research because of programs like that." Samantha King, a professor at Queens University in Ontario and author of the book Pink Ribbons Inc., said that at first people warned that she'd get hate mail for writing critically about the pink campaigns. "The opposite was true," King said. "I had underestimated the level of alienation that many women felt." King said she felt the Komen Foundation crossed the line a few years ago, when they partnered with KFC on a pink bucket of fast food. The primary purpose appears to be to sell products, King said. "What's next, pink cigarettes for the cure?" What do you think? Too much pink - or does breast cancer awareness need all the help it can get?